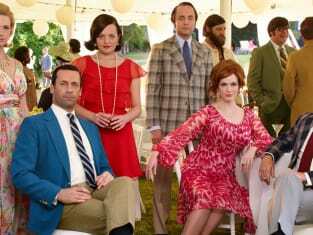 When you watch Mad Men Season 7 Episode 14 online via TV Fanatic, you will finally discover the fate of Don Draper and his family. What's next for them? What about Joan and Roger and Peggy? Joan makes a decision and forms a partnership, continuing on in advertising. Peggy forms a partnership as well, but it's of a different variety. Roger does estate planning, and informs Joan of his intentions. Don and Betty Draper share a touching moment about the end of her life and Don, well, he spends a lot of time in a very surprising location that leads to a perfectly logical conclusion. It couldn't have ended any other way. 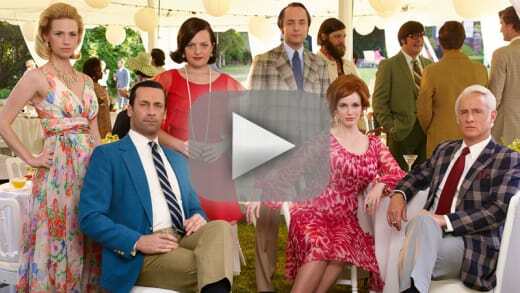 Find out what it is when you watch Mad Men online via TV Fanatic!